The name of the service is 盟盟 (and apparently all the good domain names have been taken for that one). You can see how the “盟” character blends nicely into the drawing of the ship. 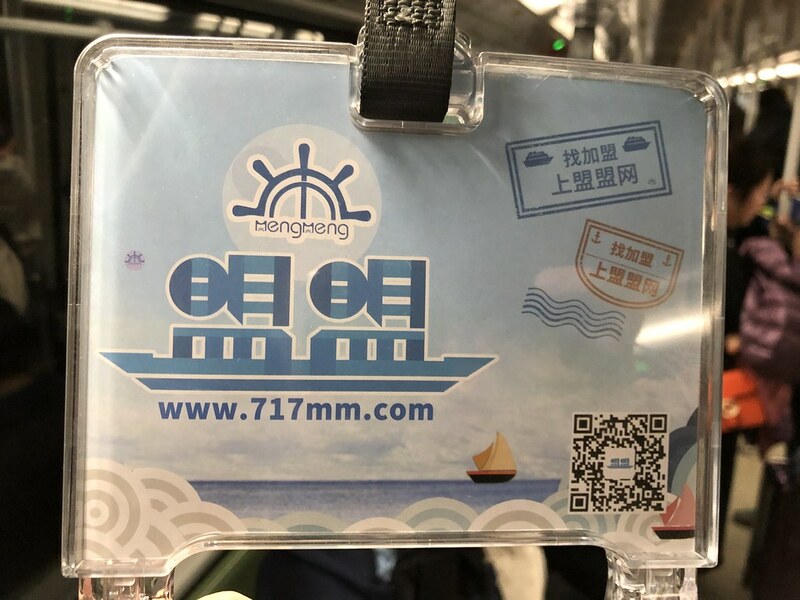 But no, the brand has nothing to do with ships or cruises or whatever… So while the characterplay looks like it kind of works, the picture really has nothing to do with what 盟盟 is all about: franchising (加盟) other brands. Side note: isn’t it interesting how nobody leaves comments anymore? It’s all moved over to social media. Heh… Decidedly uninteresting trend, if you ask me.